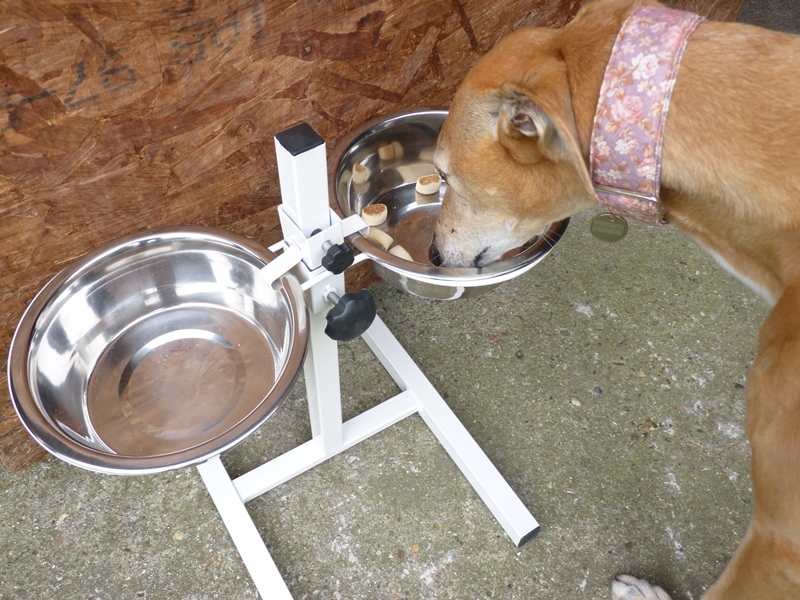 Using a raised feeder is essential for a greyhound or lurcher. Feeding your greyhound or lurcher in a raised feeding bowl is essential. 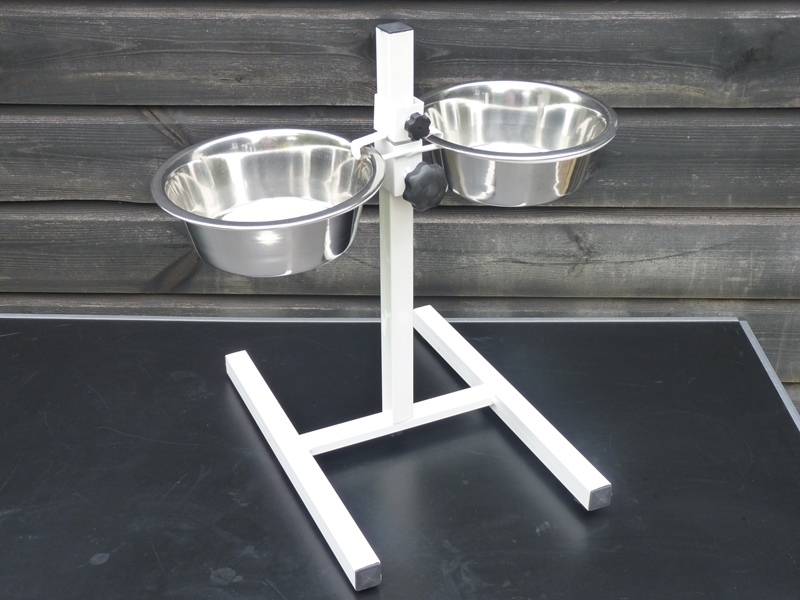 These twin feeders allow you to provide both food and water and an adjustable height. 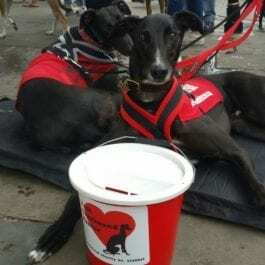 They hold 2.25 lts (4 pints) so the perfect size for any hound. 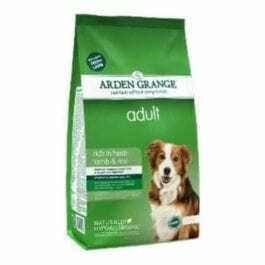 Adjustable to fit your dog at any age or stage. Aids digestion and reduces neck and joint strain. Stainless steel bowls are dishwasher safe and they do not absorb any odours from the food. All large dogs are susceptible to bloat. This condition is fatal if not treated quickly enough. One way to avoid bloat is to allow you greyhound or lurcher to eat from a raised feeder and to feed him or her 2-3 times a day. It is thought that exercise may also contribute to bloat. Try to exercise you dog in between meals and not close to meal times. Gentle lead walking is OK but no vigorous exercise should be allowed a couple of hours before or after meals. Bloating can occur without notice and might even be mistaken for indigestion. It can sometimes have the appearance of a bloated belly, which is where the name comes from, and you may even see the stomach twisting and turning. Once the stomach starts to twist and turn it can torsion, which can be fatal. It cuts off the circulation in the stomach and blood gets pushed into the main organs while the stomach dies.